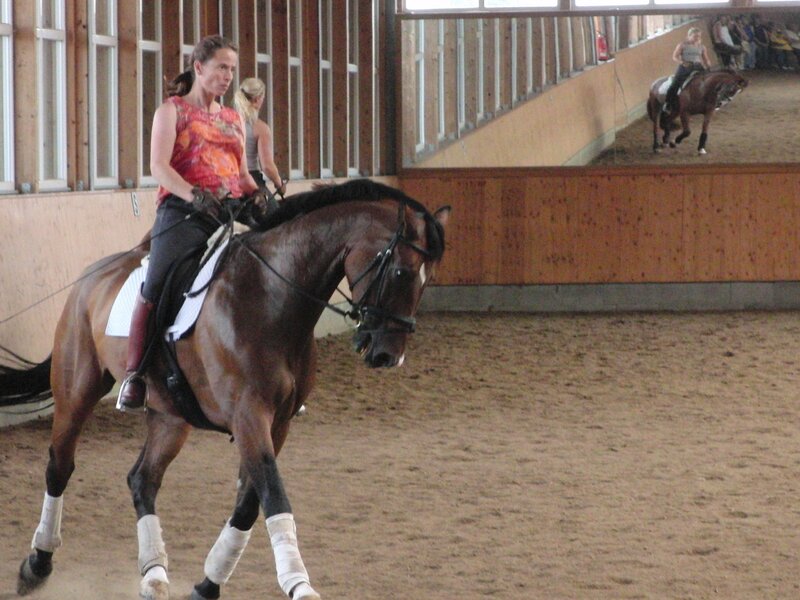 In 2009 we visited Europe for a few weeks and had the pleasure of staying with equestrian friends in western Germany for the first week. It was an adventure with many pleasant surprises, but by far my favorite surprise was when our host announced we’d be allowed to visit the training facility of Isabell Werth, a star of the dressage world. 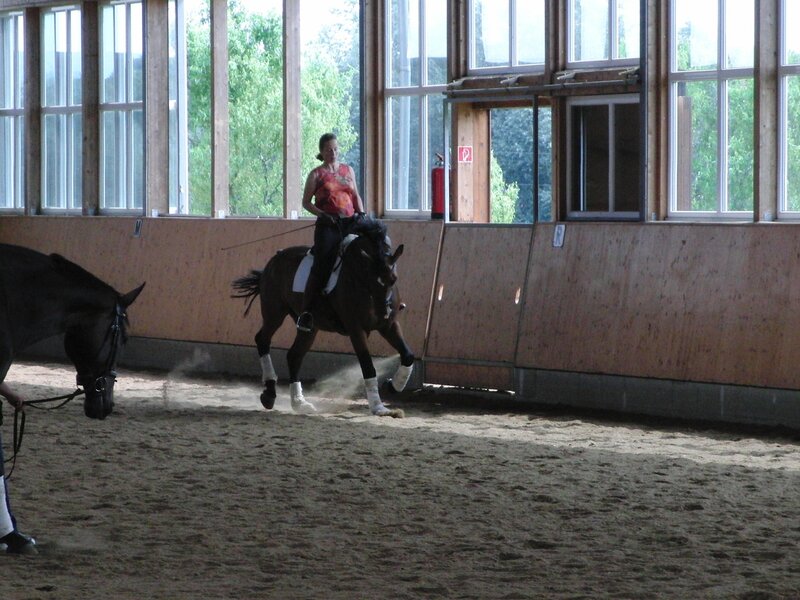 I was enthralled with the facility and the horses and just watching Isabell and several students ride that day. 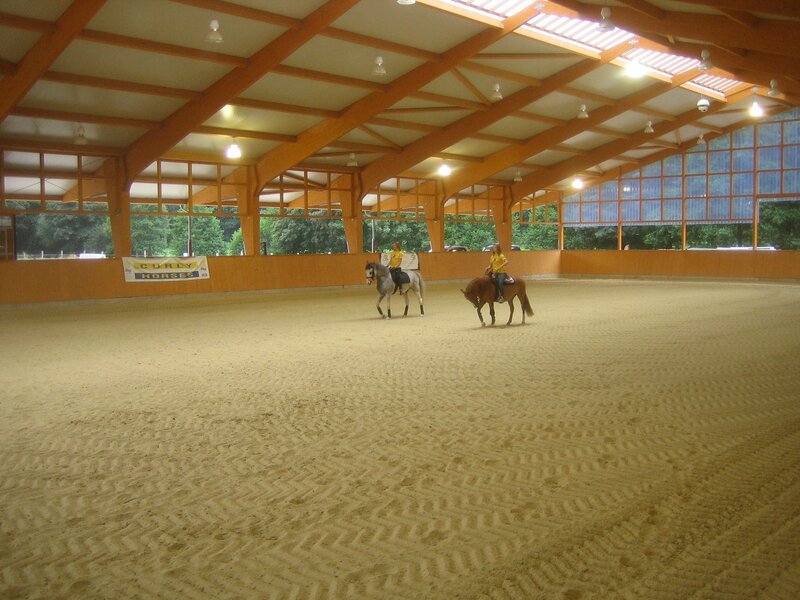 I could have happily spent the entire vacation as a fly on the wall in their arena. I wanted to take a few minutes and share some of my favorite remaining photos from that trip. When we visited she was farther along in her pregnancy than I’d ever seen a woman ride- and still visibly 10X as skilled of a rider as the best trainers I’ve ever worked with! I was really impressed- and even more so to see all the horses training in snaffle bits. 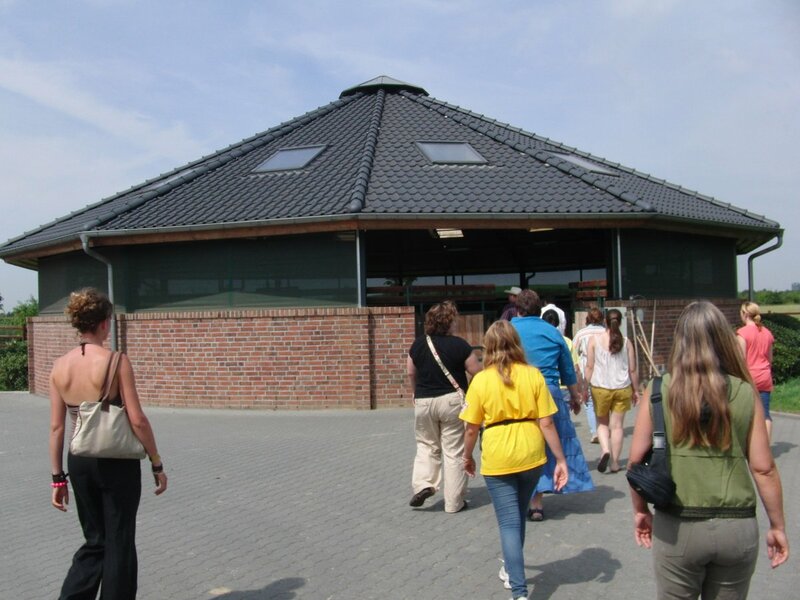 Though on first glance it looks more like an indoor roundpen, this round building housed stalls with walls that moved- functioning like a horse walker, but without requiring the horses to be tied. 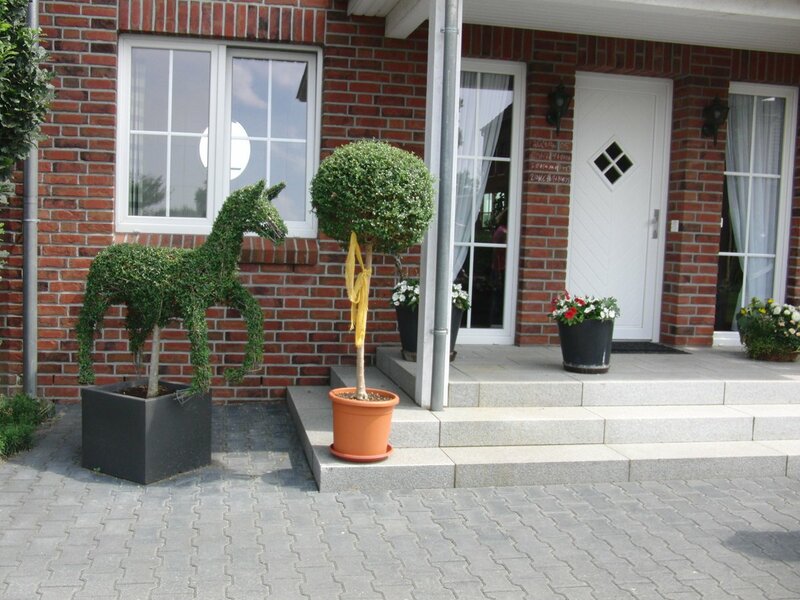 Love this darling horse topiary decorating the entrance to living quarters. 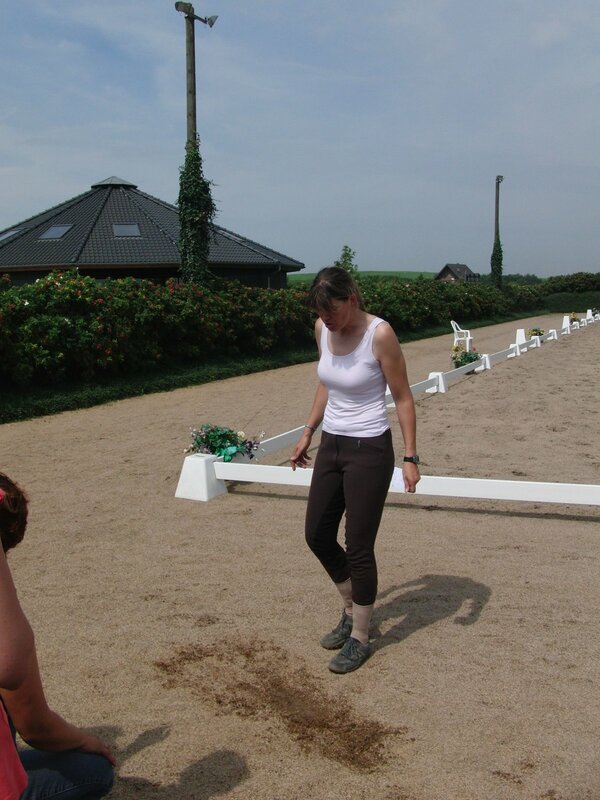 A student demonstrates the unique footing- This outdoor dressage arena featured footing that was watered from below- so while the surface appeared dry, the ground was always slightly damp. 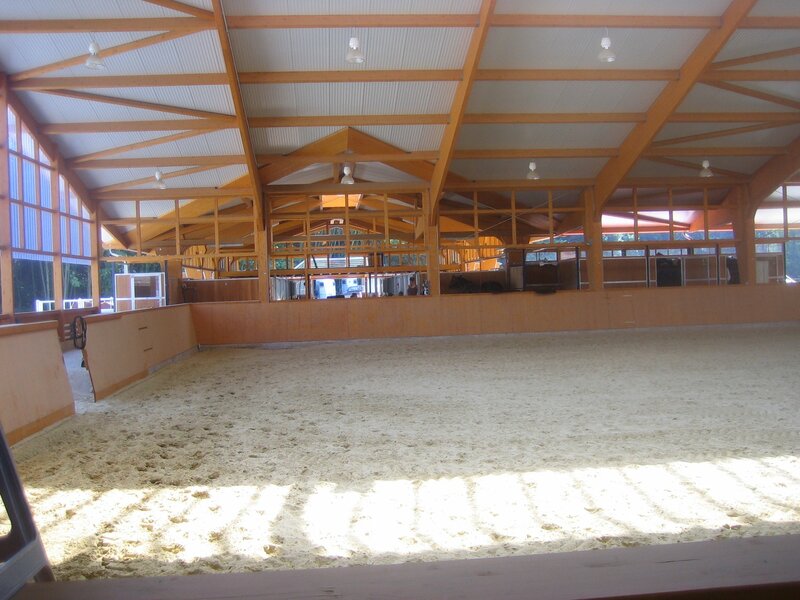 Can we just take a moment and agree Germany just has the best stables period? The way in which 100 year old barns and stables are often blended with modern construction is amazing. Below are photos from our host’s facility. 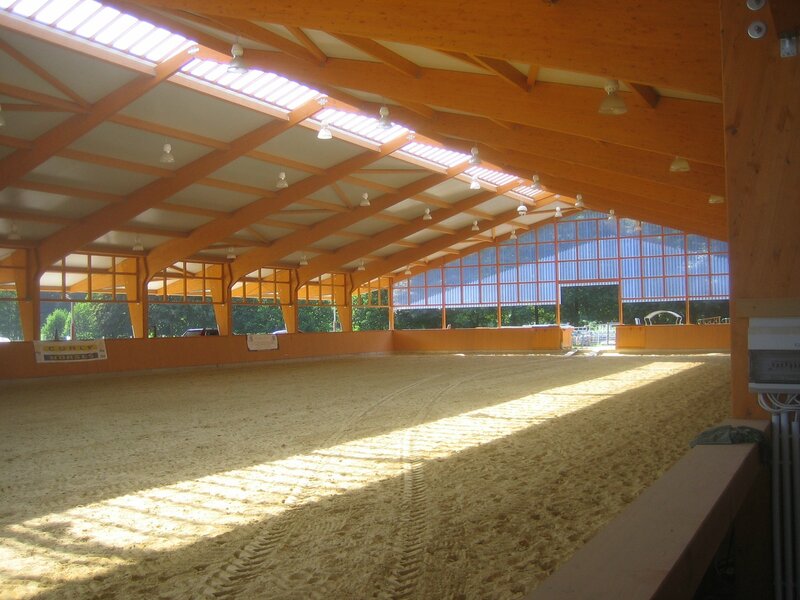 Laminated beams and open air constructions created an arena and stable with more natural light than I’ve ever seen in US facilities (It helps, I’m sure, that their weather tends to be less volatile than most areas of the US).